Mao ruled China as its head of state from 1949 – 1959. To understand what Mao faced, it helps to know what life was like in China before 1949. China had few railroads. Before 1949, there were 6,835 miles in service and most of those rail lines were in the northeast and coastal areas of China. China did not have a paved highway system, did not have an electric grid linking every village and city. In fact, most of the electricity was only generated in a few cities like Shanghai and Beijing where wealthy foreigners lived. There was no telephone system in rural China and most of the cities where wealthy foreigners didn’t live. The average lifespan was 35. The literacy rate was only 15-to-25 percent, and poverty was worse than it was in 1981 when it was 88 percent. In 1949, when Mao became China’s leader, extreme poverty was closer to 95 percent. China had just emerged from more than a century of wars: the Taiping Rebellion (about 20 million killed), the two Opium Wars started by England and France, the Boxer Rebellion, the chaos and anarchy after the collapse of the Qing Dynasty in 1912, the long Civil War between the Chinese Communists and the Nationals (1927 – 1950), World War II (15 – 20 million killed by Japanese troops), the Korean War (180,000 Chinese troops killed), the failure of Mao’s Great Leap Forward that resulted in what’s known as Mao’s Great Famine, and the ravages of his Cultural Revolution. A post about “Foreign Aid for Development Assistance” from Global Issues reported that, “In 1970, some of the world’s richest countries agreed to give 0.7% of their gross national income (GNI) as official international development aid annually to countries that could use that money the most. But since that agreement 45 years ago, despite billions of dollars given each year, rich nations have rarely met their actual promised targets. For example, the U.S. is often the largest donor in dollar terms, but ranks among the lowest when meeting the 0.7% agreed target—yes, that is less than 1%. Curious, knowing that there is also hunger and poverty in United States, I went to Feeding America and learned that in 2008, 49.1 million Americans lived in food insecure households. Mississippi was the state with the highest percentage (17.4%) of food insecure households—and poverty is increasing in the U.S. while the wealthiest Americans keep getting richer at a faster pace. With poverty that bad in the United States, why is America giving away so much money to other countries in foreign aid? Well, for one thing, the U.S. agreed to do it, and that means the country gave its word, and even though many Americans will probably grumble—especially members of the Tea Party, racists and Libertarians who probably don’t care of the U.S. breaks its promises again—they might also feel good that the U.S. isn’t keeping its word. For instance, do you remember the 0.7% target that 29 of the wealthiest countries agreed to donate to the neediest countries? The U.S. donation is often if not always below that promised amount. In fact, only five of the 29 countries met their obligation in 2014: Sweden, Luxembourg, Norway, Denmark and the UK. Although the United States paid more due to the size of its Gross National Income (GNI), it was still ranked far below making the 0.7% target for donations and was #19 on the list right behind Japan with Sweden being #1. You might also want to learn the United States has had impressive growth in its GNI from 2010 to 2014. The World Bank reports that GNI in the U.S. went from $48,950 in 2010 to $55,200 in 2014 for each person. China also had growth in its GNI from $4,300 for each person in 2010 to $7,380 in 2014 — 7.48 times less than in the U.S. This might help explain why, according to The World Bank, China has continued to receive this foreign aid: $1.771 billion in 2011, $1.293 billion in 2012, $1.648 billion in 2014 and $1.856 billion for 2015. 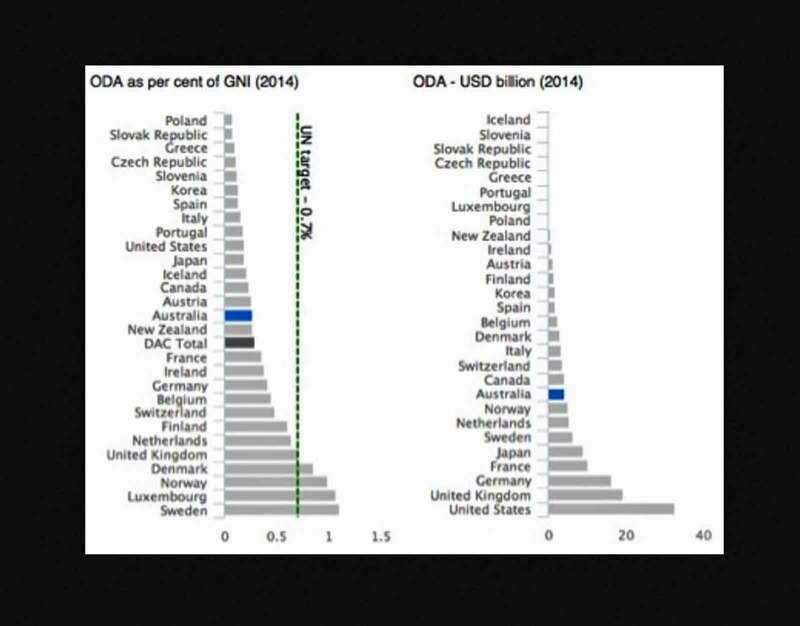 Now, stop a moment and scroll back up and look at that chart of the names of the countries that have been sending foreign aid to China and other developing countries. Starting in 1839 with the first of the two Opium Wars, Britain and France forced opium on the Chinese, and Germany became involved later with the burning of the Summer Palace near Beijing. Then Japan caused the horrors of World War II slaughtering about 30 million Chinese after invading China. If you want to discover who encouraged Japan to become aggressive in Southeast Asia, I suggest you read The China Mirage by James Bradley to learn who the two U.S. presidents were that were responsible for World War II in the Pacific. One of the two presidents even encouraged Japan to militarize and become a major military power in Asia. Could this foreign aid to China from, for instance, the United States, Japan, Germany, France and Britain be a means of atonement for more than a century of sins against the Chinese—a way to deal with the cultural and historical guilt? A few days after Ma Yan heard that her family could not afford to continue her education past fifth grade, Pierre Haski, the French journalist, visited her village. After seeing the diaries, Haski promised that he would help her continue school then go to a university or even further than that. Needless to say, after the publication of her diaries, Ma Yan continued on to middle school along with lots of attention from the media. Ma Yan says that most of the media asked her about her experience at school, and she wanted to tell them what it was like so the world would hear of the other poor children that wanted to go to school longer. Because of that media attention, the students at her elementary and middle schools received offers of help. That outpouring of interest led to the founding of Children of Ningxia, but it closed its doors in 2013. Details about funding for this project may be found at Global Giving. Global Giving reports that they have helped 245 young people from Ningxia through this program and 34 already graduated. China’s government also abolished school fees through ninth grade but many remote, rural families still struggle to pay for boarding fees. As the Al Jazeera segment of Ma Yan’s Story ends, I thought of the billion people living in poverty around the world. Less than 10% of those people live in China and this story is only of a few of those people. Curious to know what happened to Ma Yan all these years later, and what she was doing with her life, I used Google search but found nothing. I then found Pierre Haski’s Facebook page and left a question asking if he knew what had happened to Ma Yan in France. Last time I checked, I couldn’t find my question, and Haski has not replied. 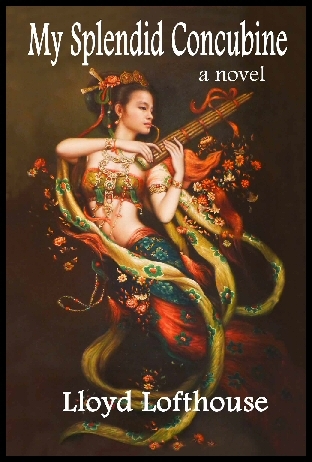 In January 2010, Al Jazeera Witness reported the story of Ma Yan, a young Chinese girl that lived in rural China in the same poverty that rural Chinese have lived with for centuries, and how The Diary of Ma Yan (link goes to Amazon.com) was published in many countries including China (where it was a best seller) and in the United States. Contrary to popular opinion in the West and especially in the United States, the poor in China did not get this way because of the Communists. The hardship and poverty of Ma Yan’s people and many others in China had been that way for centuries. It also didn’t help when the Communists won China’s civil war and the defeated Nationalists took the nation’s treasury and most of the ancient Imperial treasures to Taiwan leaving China nothing but people and land. In this segment of Witness, we travel with Mao Yan as she breaks the cycle of poverty. By chance in 2001, a French journalist, Pierre Haski, was visiting remote Ningxia province in northwest China when a Muslim woman wearing the white headscarf of the Hui people thrust her daughter’s diaries into his hands. Ma Yan writes that the economy where she lived has not been developed. However, Mao Yan is not alone wanting to escape the hardship of poverty. She wrote that her life was like a death sentence. Then the French journalist read the diary Mao Yan’s mother had given him and was so impressed, he arranged for excerpts to be published in one of the French daily newspapers. By 2007, Ma Yan passed a university exam and was one of the first girls from her village to be eligible for a university education. She then flew to Paris to live with a French family and attend a university there. First, according to the Democracy Index, in 2012, there were only 25 full democracies in the world while there were 51 authoritarian regimes. There were also 54 flawed democracies and 37 hybrid regimes. The Democracy Index is compiled by the Economist Intelligence Unit that measures the state of democracy in 167 countries, of which 166 are sovereign states and 165 are United Nations member states. With the so-called democracy demonstrations taking place in Hong Kong—a former colony of the British Empire that was never a democracy by any definition—I want to make a link between those demonstrations and the Nobel Peace Prize. Back in 2010, the media in democratic countries sounded the charge against China when Liu Xiaobo was awarded the Nobel Peace Prize. The Western media splashed the news on the Internet, across the front pages of newspapers and repeatedly reported it on TV and radio. What about China soon after Mao’s death when Deng Xiaoping launched China’s economic capitalist revolution, and in 1982, China wrote the first draft of a constitution designed to build an authoritarian republic—not a democracy? Since then, China has been moving slowly down a road toward a more representative republic that fits China’s culture, which might never accept Western democracy activists like Liu Xiaobo. I wonder what America’s Founding Fathers would have done with Liu Xiaobo—probably ignored him as most Americans would, but we might find an answer with how the U.S. deals with treason. What about China’s Constitution? After all, China does have a Constitution of its own. For instance, there is Article 35: Citizens of the People’s Republic of China enjoy freedom of speech, of the press, of assembly, of association, of procession and of demonstration. Nobel Prizes are awarded by the Norwegian Nobel Committee, which has been accused of having a political agenda. They have also been accused of Euro-centrism. For the 2010 Nobel Prizes, there were five committee members, one man and four women—all white and old. Click the link and see for yourself. In conclusion, I want to point out a few facts about China and its government that you probably will never hear from the mainstream Western media—especially in the United States. Never before in China’s history has any government made an attempt to improve the lifestyles and welfare of its people. The World Bank reports that the CCP has lifted more than 600 million people out of poverty—90 percent of global poverty reduction in the last 30 years. Poverty in 1981 was 85 percent. In 2008, the World Bank reported it was 13 percent, lower than the poverty rate in the United States where poverty is increasing. For more than two thousand years, China was known as the land of famines. In fact, Imperial records reveal that China had famines annually in one or more provinces, but under the CCP, the only famine was in 1958-1960—and the Western media has crucified the CCP repeatedly because of this famine and has never mentioned China’s annual history of famines. In 1949, when the CCP came to power, average life expectancy in China was age 35. Today it is 75. When Mao died, only 20 percent of Chinese were literate. Today, literacy is 95.1 percent. If China is ruled by a brutal authoritarian government with a dictator—which isn’t true because its president may only serve two, five-year terms and the president’s power is limited—explain why an average of more than 50 million Chinese travel the world annually as tourists (more than any other country) and why many Chinese are free to go to college in the United States, and other countries, as foreign students. Did you know that Xi Jinping, China current president, sent his daughter to college in the United States? In addition, in 2011, China send the most foreign students—194,029—to the USA, up 23% from the previous year. There are more than 2,000 McDonald’s restaurants in China. KFC has more than 4,600. Pizza Hut has more than 1,200. Walmart has been in China for 18 years and has about 90,000 employees. Starbucks is also in China and plans to have 1,500 stores by 2015. Intel has research and manufacturing facilities in Beijing, Chengdu, Dalian, Shanghai and Shenzhen. In 2012, 54 percent of urban Chinese were middle class and another 14 percent were upper middle class. Poverty causes people to take risks in an effort to improve the quality of life, and China still has millions of poor people, but not by U.S. standards where many who live in poverty often drive cars and have TVs but still don’t have enough to buy food or pay rent. However, contrary to a belief caused by malicious rumors in the West, the Communist Party is not responsible for causing poverty in China and has been working hard since the early 1980s to end it. It wasn’t always this way. For instance, in 1949, most of the Chinese still lived in an environment similar to Europe’s middle ages, and even today, to escape poverty, some Chinese will immigrate illegally to the US, and the reason so many do this is because there is a myth in China that America and/or Canada are “Gold Mountain”. In addition, Global Issues says, “China also accounts for nearly all the world’s reduction in poverty. Excluding China, (global) poverty fell only by around 10%” while poverty increased in the United States.